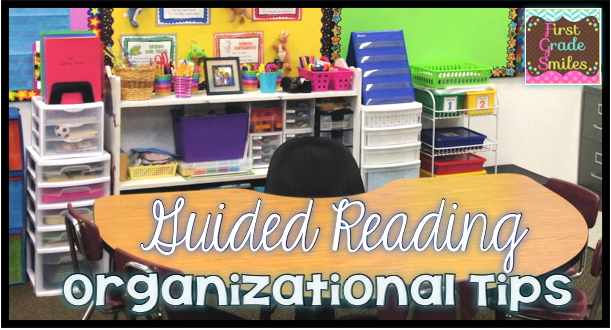 Today I'm going to share a little bit about how I *try* to stay organized for my guided reading groups. First, and most important, I like to keep everything I need as close to me as possible. I try to find a spot in my room for my guided reading table to be where I can have bookshelves, plastic drawers, and whatever else I can to hold all my STUFF! Because after 13 years of teaching - I have A LOT of stuff! In the picture above I am showing just a few things I keep close by for guided reading time. There are so many things that are not pictured, so I will try to list as many as I can that are not pictured. I always keep: plenty of sharpened pencils, erasers, highlighters, markers and crayons, whisper phones, sight word flash cards, letter tiles (pictured below), letter stamps, running record timer, table top pocket chart, sight word/word work games, and SO MUCH MORE! Then there's the question of where to store the centers and activities students work on during guided reading time. I have a variety of different centers so I have multiple storage techniques, but this is one of my favorite ways to organize centers (when they fit). So those are just a couple ways I try to stay organized during guided reading. I need to utilize my time for instruction and not finding materials because 5 reading groups go by in a flash and need to be time well spent. If you are looking for more resources for your guided reading time - click HERE. 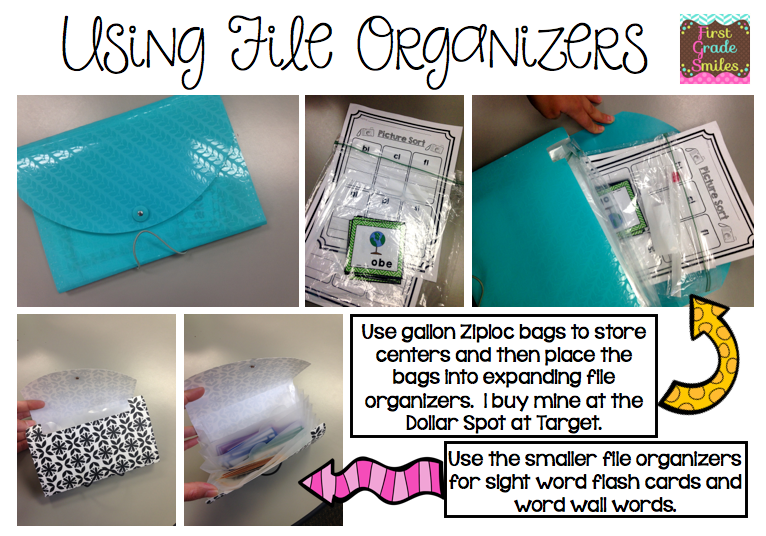 Now hop around and find out some more organizational ideas for your classroom. 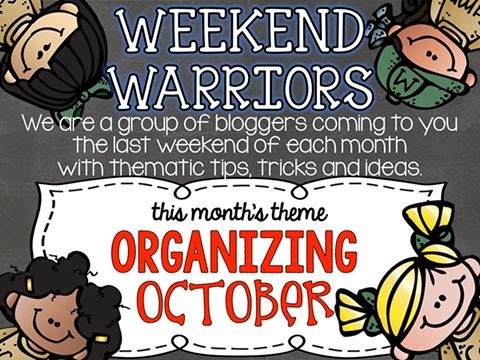 I am on my way too because I can always use more organizational tips. 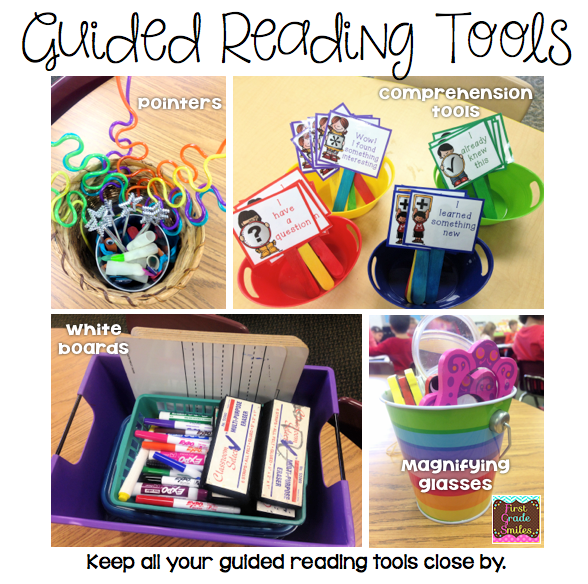 Melissa, your guided reading tools look like so much fun! Your students must love their time spent there! Thanks for all of the great tips and ideas to try out! I love colored file folders too! They seems to keep me and my kiddos happy and organized. Thanks for sharing all your awesome tips. 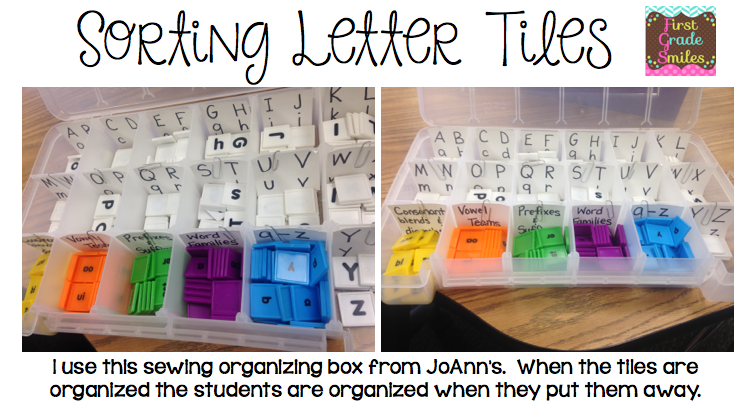 All of your guided reading tools look so fun and organized!!! I love it! :) Thanks for sharing!!! I love to see new guided reading tools! Your comprehension tools on popsicle sticks are adorable! I wish I could just walk about your classroom in person. I know I'd learn so much from you!